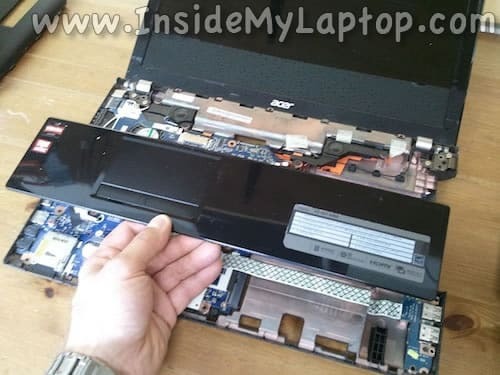 In the following guide I will disassemble an Acer Aspire V3-551-8469 laptop in order to remove the cooling fan. The fan is mounted deep inside the case, under the motherboard. 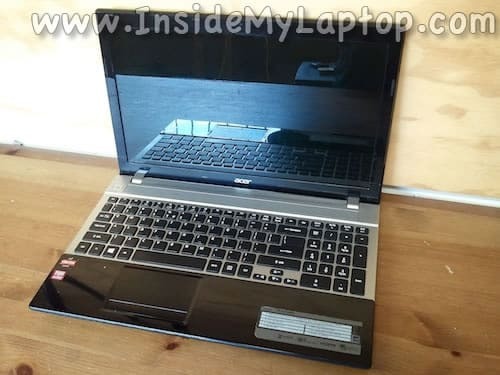 When the cover removed, you can access the hard drive, wireless card and both RAM slot. I had only one 4GB RAM module installed. 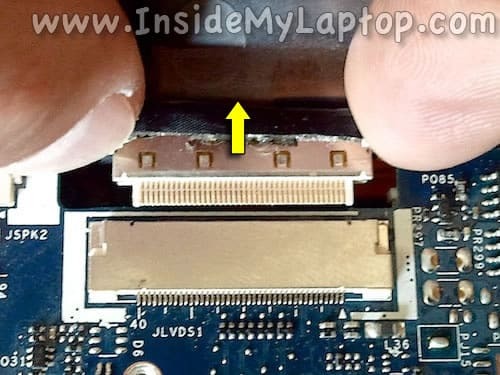 All screws are similar, except three silver screws in the battery compartment and one silver screw below the memory module. I’m using a guitar pick to separate the palm rest from the bottom case. You can use a piece of plastic. Continue separating the palm rest with your fingers. Move the palm rest assembly away from the keyboard. Be careful, it’s still connected to the motherboard. Remove one screw securing the keyboard/top cover assembly. Lift up the keyboard assembly and move it towards the display. Here’s how to unlock all three connectors. 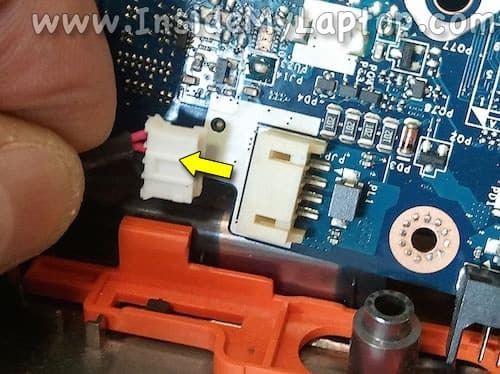 Slowly slide the cable retainer (dark brown piece in my picture) away from the connector base about 2 millimeters (two green arrows). This will unlock the connector. Now you can pull the cable (yellow arrow). 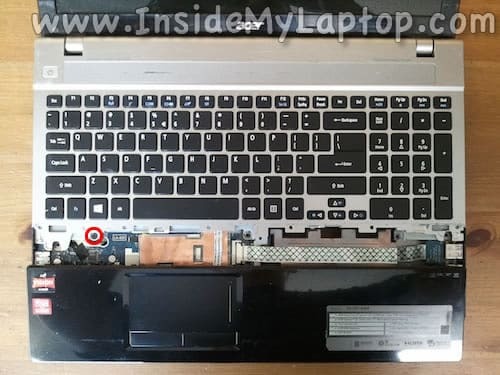 Remove the keyboard/top cover assembly. On the bottom side of the top cover you can access the power button board. 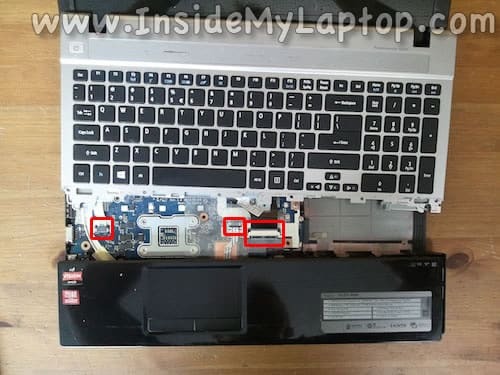 If you need to replace the keyboard, you’ll have to remove the metal shield. 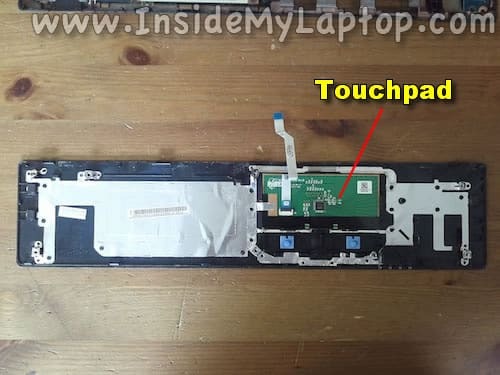 On the bottom side of the palm rest assembly you can access the touchpad. When the palm rest removed, you can access the CMOS battery. 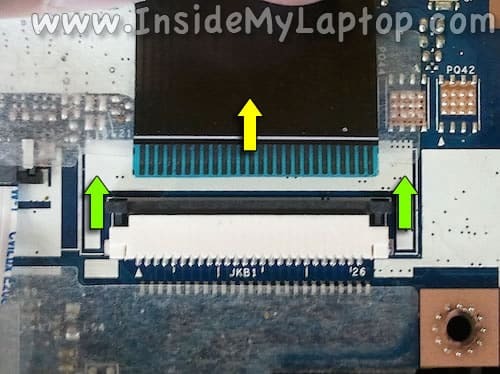 In order to remove the motherboard from the case it’s necessary to disconnect and remove the wireless card first. Remove one screw securing the card to the case and pull it from the slot. 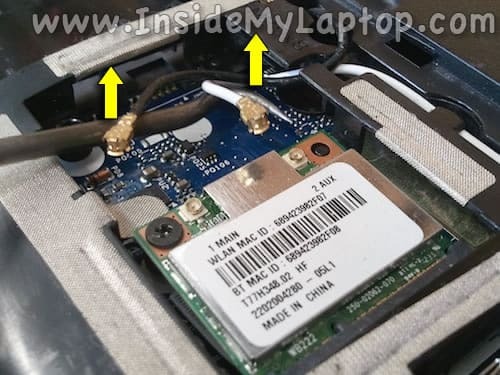 Un-route both antenna cables from the bottom of the laptop case and pull them out though the openings in the case. 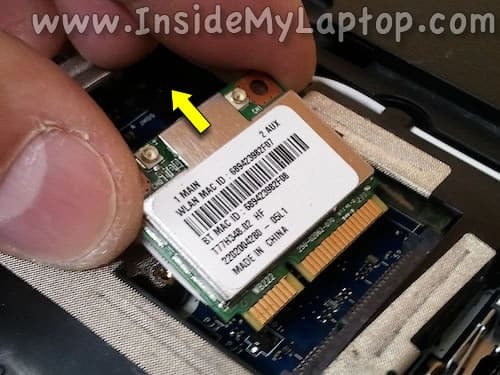 Here’s how to unplug smaller connectors. Simply pull the male part out by the edges. Do not pull by the wires. 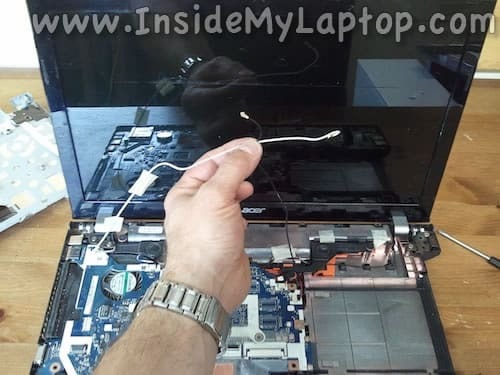 Here’s how to unplug the display (video) cable. 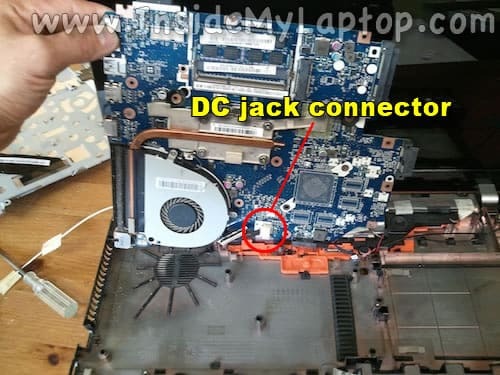 Before you can remove it completely, it’s necessary to disconnect the DC jack cable on the other side. Unplug the DC jack cable from the connector. The cooling fan mounted on the other side. 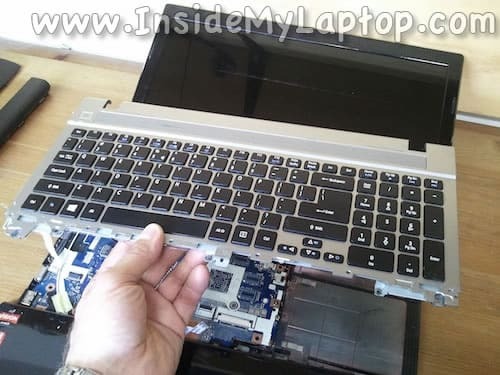 Remove seven screws securing fan and heat sink. Carefully separate the fan assembly from the motherboard. 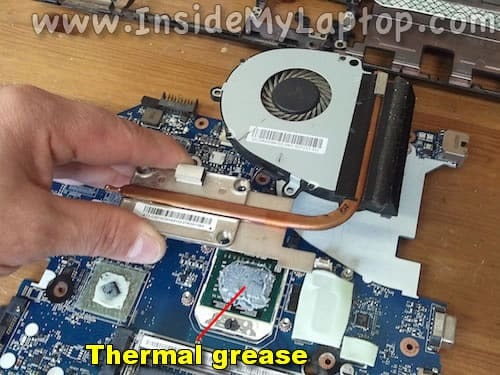 Now you can replace the fan if necessary or apply new thermal grease on the processor. There are a few chips covered by thermal pads. 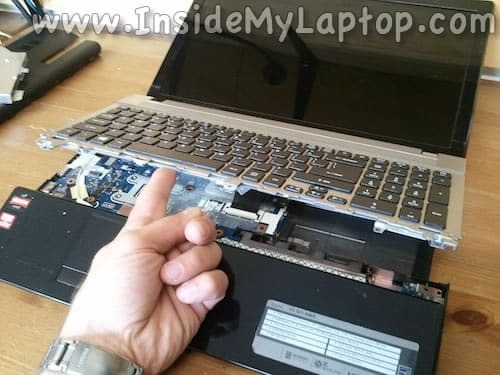 Leave thermal pads in place. Hopefully the next person reads this comment before servicing. 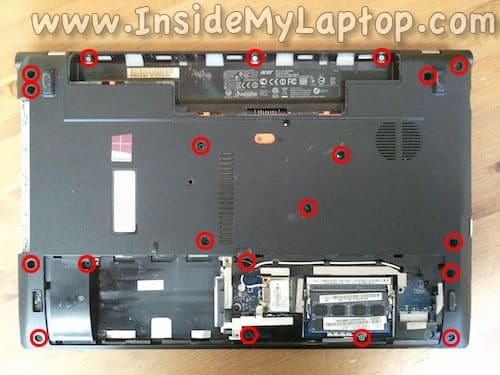 The 4 screws on the bottom of the laptop on the top 2 corners on Step 5 SHOULD NOT be removed. Removing them and forcing the display to open will rip through the plastic casing. 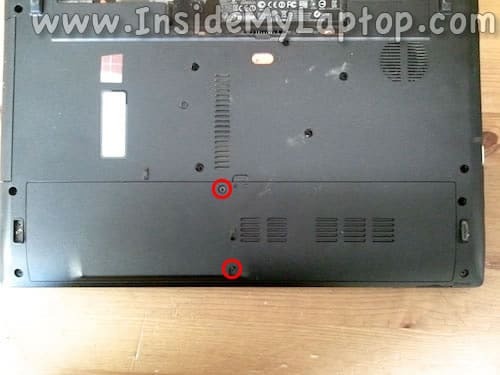 The screen is still being held down by the bezel with more screws. 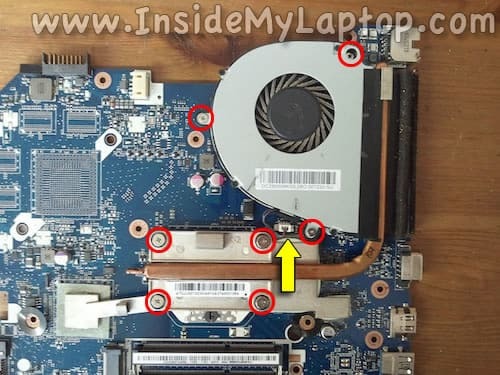 Any of the other screws are fine to remove except the 4 mentioned. Good luck. 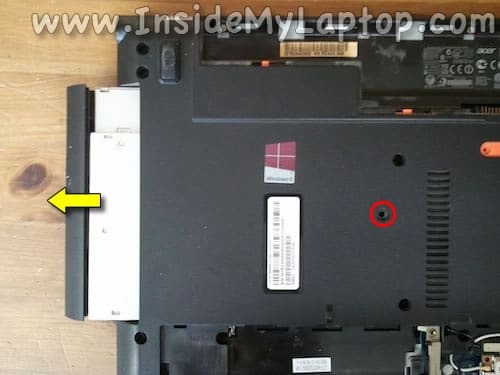 The 4 screws on the bottom of the laptop on the top 2 corners on Step 5 SHOULD NOT be removed. Removing them and forcing the display to open will rip through the plastic casing. I don’t think this is correct. 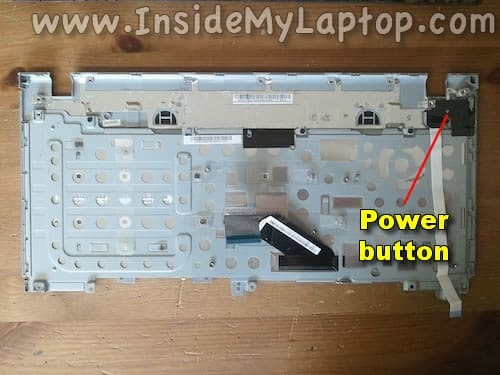 Without removing 4 screws shown in the step 5 you will not be able to remove the top cover. The display hinges secured by 4 screws and you can see them in the step 13. 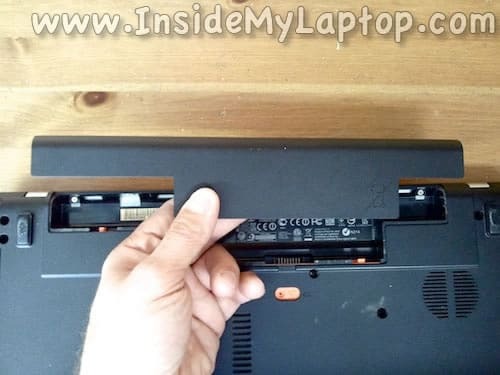 If you remove all screws shown in the step 5, the display SHOULD NOT fall. 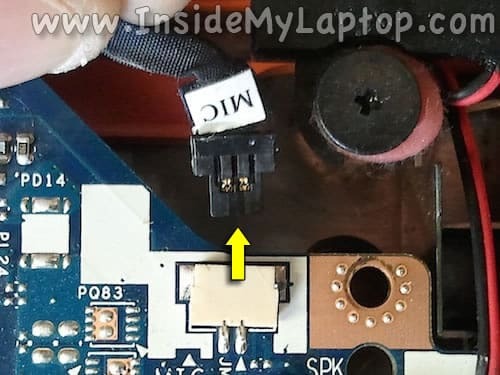 After I disassemble and reassemble my Acer Aspire V3-551 I turn it on and the power light comes on and that’s it know else happen. Where did I went wrong. 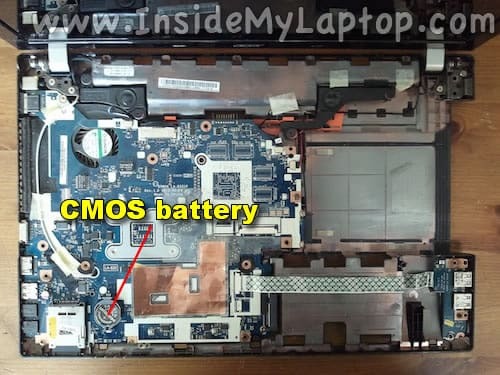 I went back and remove the CMOS battery and no luck… Please can someone help me. Check RAM modules. Maybe one of the modules not seated correctly. Try reconnecting them. I just realized that my battery needed to charge.. Its up on running..
I’m so glad I found this site, otherwise I would have given up already! I have this model and it will not boot. 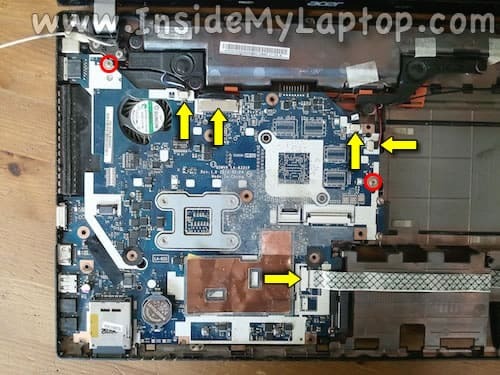 On attempt i hear a clicking sound 3 times where the fan is located i think. Then an error stating that it can’t find the MBR. I assume it is the fan but please help if you know of something else. 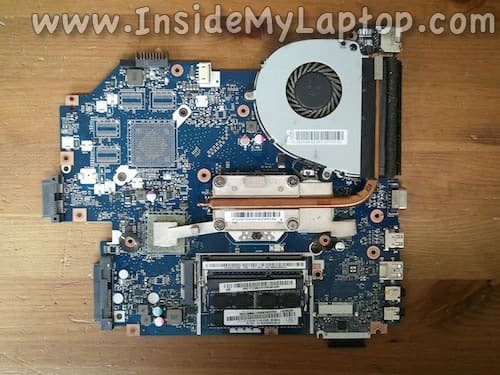 Also,can the fan be ordered as a separate part or is it integrated into the motherboard? If not integrated, can you provide the part number? Could be hard drive failure. 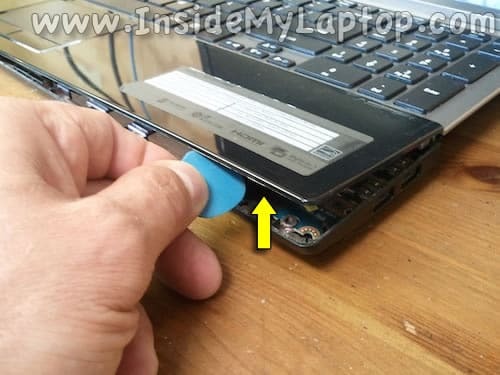 Remove the hard drive and try turning on the laptop. Do you still here clicking sounds? 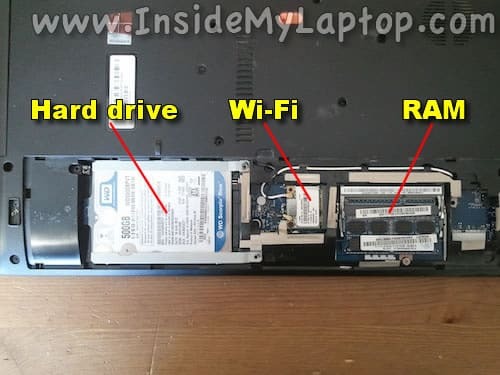 just wondering if the cpu can be replaced in this laptop? Technically it’s possible to replace the CPU. 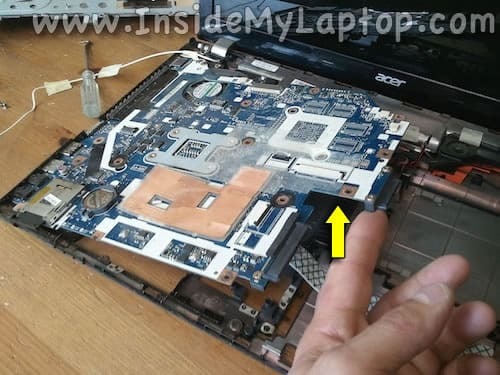 It’s not soldered to the motherboard. 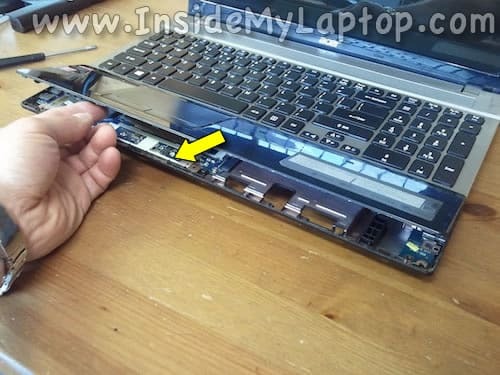 Simply unlock the socket, remove the old CPU, installed a new one and lock it. I’m not sure 100% but if both have same specs I think you can do that.